1. Log into myLSU (my.lsu.edu). 2. 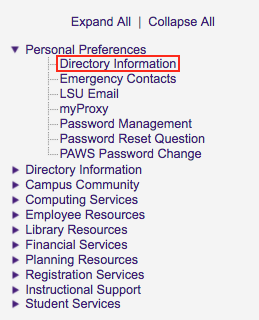 Click Directory Information under Personal Preferences. 3. Click Mailing address and enter your address. 4. Click Change at the bottom of the screen. 5. 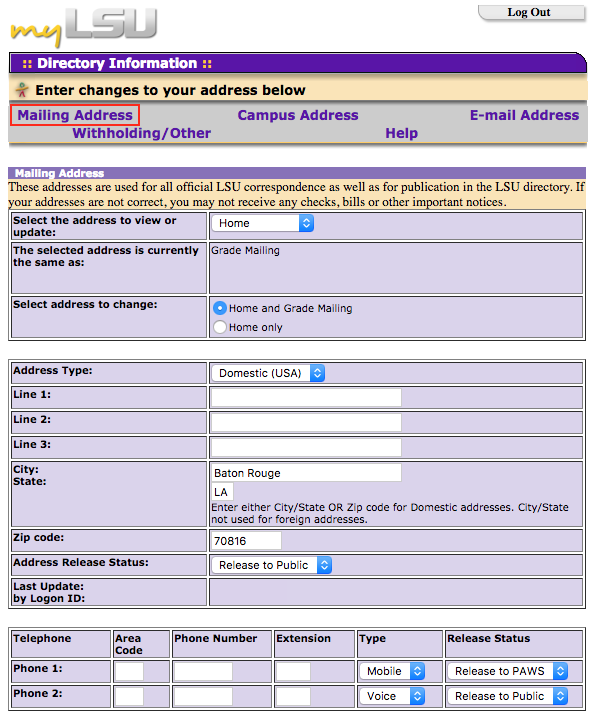 Your mailing address in the LSU system has now been changed.